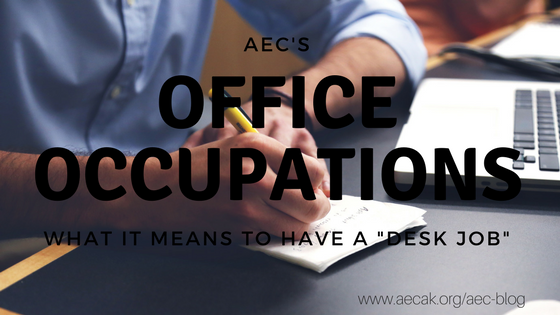 Office Occupations- What it means to have a "desk job"
Many people have come into my office in search of training that will help them get a "desk job". However, someone stating they want a desk job is just as ambiguous as me saying I want a job outdoors. Although the place that the job occurs narrows the field a bit, there are still hundreds of jobs that could fit into the category of a desk job. Knowing that you want a job at a desk or an office setting is a good first step, and there are some basic skills that every office employee will need to have. Once an individual receives basic training, they will need to evaluate their strengths and passions in order to find a job that fits their unique qualities. Amundsen Educational Center's Office Occupations program was designed to teach individuals the skills they will need to be successful in a variety of office settings. The three concentrations offered allow students to chose a track that fits their needs and abilities with the best chance for success. Since Amundsen Educational Center is a vocational school, training begins a the student's level and success is measured on improvement and competency. All Office Occupations students are taught foundational office subjects, such as basic keyboarding, 10-key, Microsoft Word, Microsoft Excel, email, Business English, Job Readiness, Introduction to Computers, Digital Literacy, and Accounting I. Additional classes are assigned based on the particular track they have decided to follow. Students in this area of study often vary in age and experience. Some of our students are recent high school graduates who have decided that college is not a good fit for them, while others are changing careers or are looking to reenter the workforce. The Accounting Clerk program prepares students for the world of accounting. Upon graduation, students will be qualified for entry level positions in a variety of accounting fields. Students will receive training in the bookkeeping program QuickBooks, which many companies use today. Since students receive training in accounting as well as other computer programs, they will be desirable employees because they are qualified for a variety of office and bookkeeping duties. The Computer Information Processor position expands upon the General Office Clerk track. Students will be competent in all Microsoft Office programs, which is extremely desirable in employees. 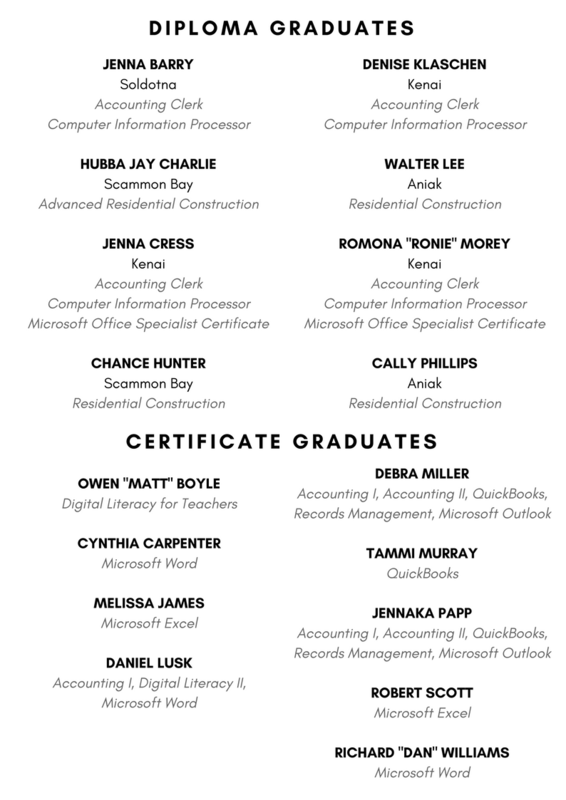 Students will have the opportunity to take the Microsoft Office Specialist Certificate Exam upon the completion of their Microsoft Office courses. Recipients of this certificate are highly esteemed in today's workforce. ​ Graduates of this track would be qualified for the same types of jobs as students who earn a General Office Clerk diploma, however, they would be capable of a heavier workload and increased responsibility. Find out more about our Office Occupations program here. Medical coding and medical billing are typically referred to so interchangeably that many people have come to be under the impression that the two are the same thing. Quite on the contrary, there are distinct and important differences between the two terms that need to be understood thoroughly by those looking to enter the field. A large part of the reason for this confusion is undoubtedly that the two separate functions are often performed by individuals who work in very close proximity to one another. In fact, According to the American Academy of Professional Coders, both of these procedures are actually frequently encompassed in one position. There’s no surprise here! Hospitals need medical coders to document and assign codes for each medical procedure a patient receives. They research codes, interpret patient charts and use specialized medical coding software to assign the proper codes. Doctor’s offices and specialty clinics, such as dermatology or dental offices, also use medical coders to process billing and insurance claims. Hospital patients may receive a number of treatments from several different physicians. That means hospital medical coders should be prepared for plenty of critical thinking and research to track down obscure medical codes. This can be a fun challenge, but don’t rule out working in a smaller, specialty clinic. Medical coders who work for insurance agencies see patient claims from the other side of the table. They verify the accuracy of incoming claims and note if any information is missing or incorrect. Then they compare the treatment a patient received to their insurance plan coverage so payments can be processed. 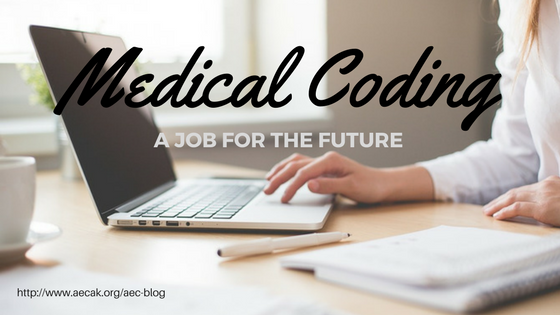 Medical coders who work in the insurance industry will need to have a solid understanding of medical codes and be willing to do the research to fill in the gaps. An eye for detail is critical since catching errors is one of their main job duties. They should also be up for the challenge of interpreting the details of insurance plans. Medical coders play a vital role in these companies. They’re responsible for conducting audits and reviews to ensure accurate coding and prevent rejected claims due to coding errors. Some medical coders may even teach a class to show healthcare employees how to avert coding errors in the future. Colleges and technical schools need experienced medical coders to train the next generation of coding students. There are no official educational requirements for medical coders, but the BLS states there are certifications that can be earned from an accredited institution. These schools offer plenty of opportunities for trained medical coders to share their knowledge with students. Teaching jobs typically require a few years of on-the-job experience, so they make a great option for seasoned medical coders who are ready for a change of pace. This is the perfect career path for anyone who loves the ins and outs of medical coding and enjoys sharing their wisdom with others. Billing fraud is a big problem for healthcare providers. Incorrect billing procedures can cause a provider to come under fire for fraud—even if it was unintentional. A provider has to prove that any billing and coding errors were simply mistakes, or they may face criminal charges. Law firms often hire medical coders to help investigate fraud claims. These coders will examine records to help determine if coding mistakes were intentional or the result of billing fraud. A thorough knowledge of Medicaid laws and regulations is a necessity in this medical coding position. State and federal government agencies, such as the National Center for Health Statistics or state Medicaid departments, are another employer of medical coders. These daily job duties are similar to those of medical coders in other industries: assigning codes, abstracting information and reviewing and auditing incoming claims codes. Government agencies offer the opportunity to work on projects that may affect healthcare across the nation. Plus there’s another big benefit: the federal government offers some of the highest medical coding salaries in the field, according to a study by the American Association of Professional Coders (AAPC). That’s right, you could be a successful medical coder from the comfort of your own home—or anywhere else you have reliable Internet access! There are plenty of legitimate work-from-home coding jobs available; just make sure to be on the lookout for scammers. You could even start your own medical coding business like Beth Morgan, president of Medical Detectives, did. “Being my own boss allows me freedom and flexibility, and I am able to assist all sources of providers,” Morgan says. She enjoys the unique opportunity she has to perform coding reviews for companies and agencies spanning all of the industries described above. If you prefer variety and could picture yourself working in any of these settings, the self-employed route may be the perfect solution for you! 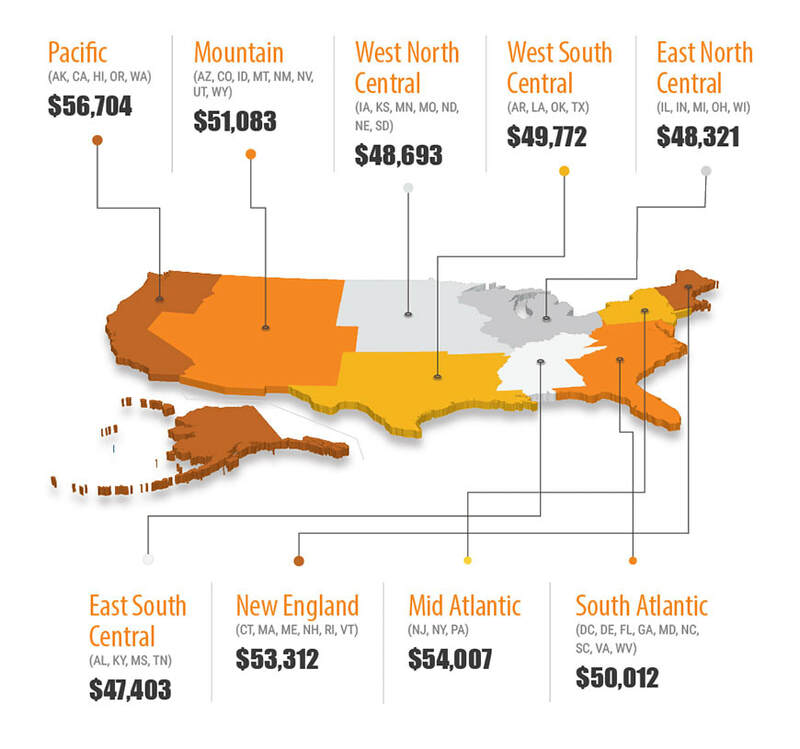 What is the average salary of a certified medical coder? *Salary image from the American Academy of Professional Coders website, July 2017. What is the job security of a medical coder? A growing job market as industry employment is projected to grow by 21% by 2020. In addition to these new jobs, there will also be open positions as people retire or leave the profession. A high demand for coding services as the healthcare industry continues to grow and the country's population ages in addition to the increasing number of tests, treatments, and procedures. A growing number of professionals needed in the field to act as liaisons between healthcare facilities, insurance companies, and other establishments. ​Earning a bachelor’s degree or master’s degree can strengthen a medical coder's career; however, it's not required to show proficiency. What is necessary is to have a solid foundation of anatomy, physiology, and medical terminology education, which can be obtained by earning the Certified Professional Coder credential. It's recommended for serious coders to complete a medical coding course of study and pass an exam to designate him or her as a CPC®. Employers know CPCs® are individuals who can perform medical coding tasks with the utmost proficiency and excellence. Here at Amundsen Educational Center, our Professional Medical Coding Program teaches you what you need to know in order to become a Certified Professional Coder. Our small class size and knowledgeable staff provide you with all of the tools you will need to be successful. Walter was announced as a scholarship recipient from the Kenai Peninsula Builder's Association. He will be attending AEC this fall for Advanced Residential Construction. Thank you to everyone who attended graduation last Friday in support of our students who earned diplomas and certificates! We are proud of all of our students and wish them all the best of luck in their future endeavors. In today's electronic-saturated world, children are exposed to technology at a young age. Many toddlers can navigate a smart phone before they can spell their name, and kindergartners have given up bicycles and hide-and-seek for online gaming. Although the kids of today seem to know everything there is about navigating our plugged-in world, many of them lack the basic building blocks necessary to be efficient and productive in today's society. Here are a few things that all kids should know and be able to do in order to be successful in today's tech-savvy culture. Whether your kids are online 24/7 or have limited electronic access, I encourage you to take the time to review these skills with them. What they do and don't know might just surprise you. No matter how restrictive your own home might be, the internet is everywhere. It is important to teach kids at a young age appropriate boundaries when they are presented with technology. The topics that should be covered will vary with your child's age, but it is never too early to start teaching them what you might deem appropriate for their age and maturity level. Especially appropriate for tweens and teens, it is crucial that kids be taught the importance of respecting others online, and have an understanding of what kinds of things are appropriate and inappropriate to post and share. Kids should know the correct way to type on a keyboard. I am amazed at the number of kids graduating from high school who peck at the keyboard with a couple of fingers. If your child's school doesn't teach typing, encourage them to learn on their own. There are tons of websites that teach proper typing, and your kids will thank you later. Once kids reach high school, they should be able to search for topics on the internet and tell if a resource or website is trustworthy. This skill is absolutely necessary in today's information-overloaded world. Spend some time browsing employment openings, and you will see that many jobs require experience with Microsoft Office applications. Commonly used applications include Excel, Word, and Outlook. PowerPoint and Publisher are also good to learn, but aren't as common. Looking for formal training in these topics? Amundsen Educational Center offers online courses in Digital Literacy, Keyboarding, and Microsoft Office. With scholarship deadlines just around the corner, now is the time to buckle down and start applying. Not going to a traditional 4-year college? No problem! We did the leg work and came up with a list of scholarships specifically for vocational education programs. First on your scholarship list should be the Alaska Performance Scholarship. If you plan to attend a vocational school, the process is actually pretty easy. You can learn all about using the Alaska Performance Scholarship here. It is worth filling out the paperwork even if your grades weren't the best in high school, because the scholarship is awarded in tiers and is based on a combination of grades and test scores. Not a recent grad? Alaskans have 6 years after graduation to use their Alaska Performance Scholarship! 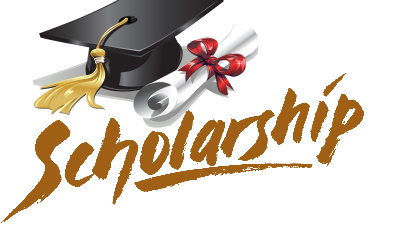 Next on your scholarship list is exploring all of the available scholarships that you are eligible for. Our financial assistance page has a fairly comprehensive list of vocational scholarships that you may be eligible for. Be sure to read the eligibility requirements for each scholarship before you spend time filling out applications. Also, be sure to check the deadline dates, as each scholarship is different. Some scholarships are offered twice a year, so make note of those for future reference. If you've applied for all of the scholarships you are eligible for and are still in need of funding, your community may have resources available to help make up the difference. On the Kenai Peninsula, some of these community resources include: Career Support and Training Services, The Department of Vocational Rehabilitation, Public Assistance, and Kenaitze Indian Tribe. 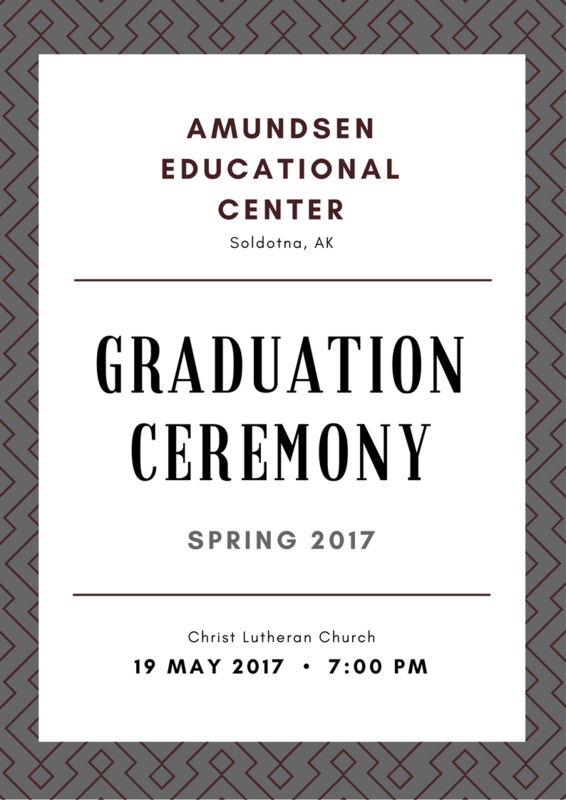 Thinking of attending Amundsen Educational Center this fall? Enroll by May 1st to take advantage of our Matching Funds Program! QuickBooks is a course that we teach within our Accounting Program, but it can be taken as a stand-alone course for anyone interested in learning how to utilize this accounting software for their own business or training. The course is taught once every fall and spring. Cost is $600 for the course, and includes all fees, book cost, and 140-day student trial version of QuickBooks. 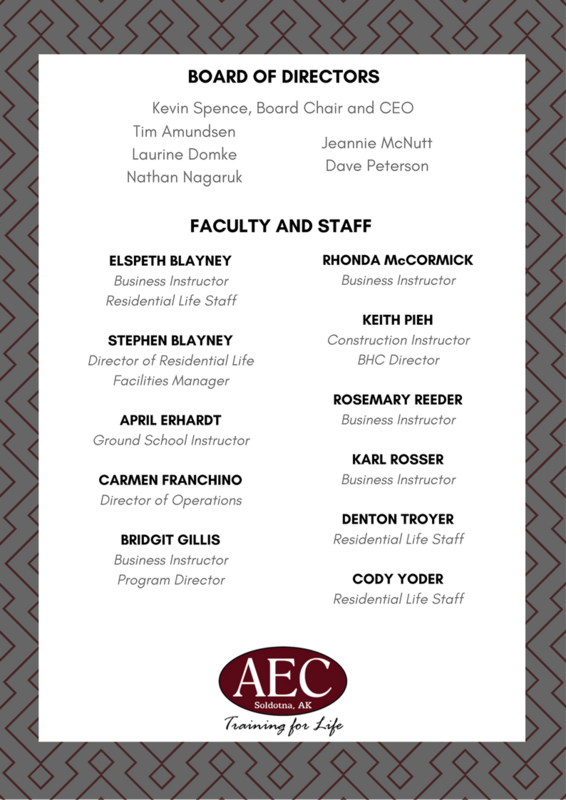 Students will receive a certification of completion from AEC upon successful completion of the course. 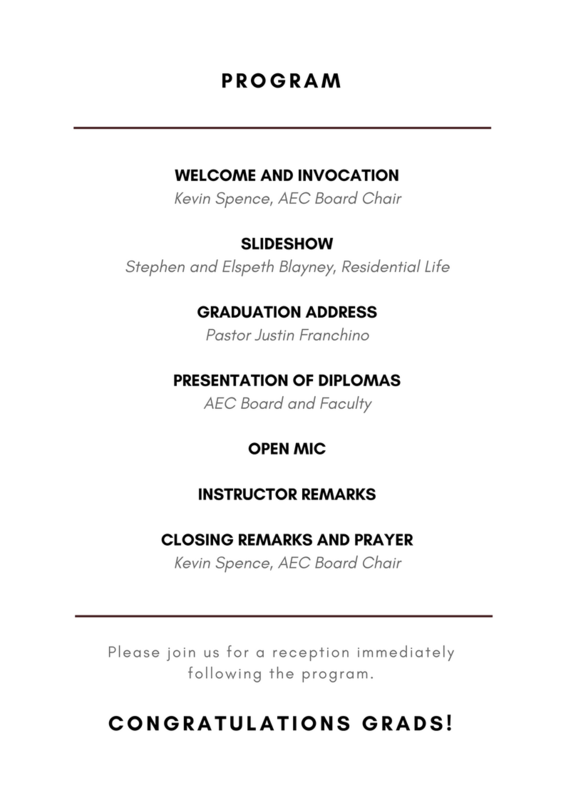 Call 907.260.8041 or email bridgit@aecak.org to enroll. Good news for potential AEC students! We have just received confirmation that ALL of our diploma programs are now eligible for the Alaska Performance Scholarship! Even better news? Enroll for the fall semester by May 1st and you can use your scholarship, PLUS take advantage of our matching funds program. Want more information? Check out our page featuring all of the details on how to use your benefits and see if you qualify. Don't forget- students have 6 years after they graduate to use their funds! ​Ready to enroll? Contact us today!